Of course the nail polish racks caught my eye as I ran past the beauty section! What is my problem? haha! Anyway, so this is what I grabbed! It was about 7 or 8 dollars, and this brand is very proud of how healthy their formula is. It sure is really awesome and lustrous! It changes between purple and rose, and some shots of the bottle even show another few colors if you look around the edges. 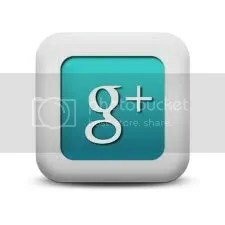 This shows the name of the brand, in case you want to look them up! Here are the ingredients that they proudly display! In complete shade, it does look more eggplant-colored, but it doesn’t take much light to really show off the different colors it has! I’d say its a winner, wouldn’t you? 🙂 They had a lot of other colors too! This entry was posted in general polish yumminess, swatches and tagged duochrome, eggplant, everglades eggplant, metallic, nail polish, no miss, pink, purple, rose, shimmer, swatch, whole foods on May 24, 2011 by hollyshimmerspark. I have to say again that I’m so glad I finally gave BB Couture a chance, because I used to think I didn’t like their polishes but I am always SO impressed when I put them on! This one is a dark gray color with blue shimmer.. but not like the regular navy blue I usually see in dark blue shimmers, its really more like a lighter powder blue shimmer that comes out looking SO awesome in the dark base! I don’t even like blue polishes really unless they are super light blue, but I’m SO in love with this one! In the shade it is still really nice and shimmery, but I do like the way it looks better in the sun. I have a few more of their polishes that are coming up! They claim to be base coat, top coat, and strengthener all in one. I never usually put just polish on with no base or top coats, so I haven’t tried it alone, have you? This entry was posted in general polish yumminess, swatches and tagged bb couture, black, blue, coal miner, dark, gray, metallic, nail polish, shimmer, swatch on May 5, 2011 by hollyshimmerspark. This was the last one from my Diamond Cosmetics haul. I have so many polishes left to swatch now, its ridiculous. I have this Nordstrom bag here with some wedding planning stuff and I started putting the polishes I would pick up or order in that bag, waiting for the next time I was swatching for my blog. Now the bag is like half full of wedding planning stuff and half full of nail polish. haha! Anyway, here is Joust for Kicks! It looks too bronzey for me in the bottle, but once it is on the nail, it is SUCH a gorgeous brown! Direct sun doesn’t bring out the bronze either, it just brings out the chocolate brown. I’m loving this one. I hope they come out with some new colors soon. They are seriously so affordable for such an awesome B3F formula, it makes me want more! This entry was posted in general polish yumminess, swatches and tagged brown, diamond cosmetics, joust for kicks, metallic, nail polish, shimmer on April 16, 2011 by hollyshimmerspark. 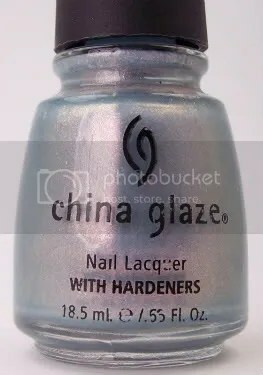 This one is a rare HTF China Glaze, but you can usually find someone who has it on ebay. That’s what I did. Actually, I didn’t go looking for it, I was looking for something else. I’m so bad though and I always go looking at what else the same person is selling since I’ll probably combine shipping anyway. I couldn’t really pass that up. It was shimmery, and it was very half blue and half pink or kind of mixed… all I knew was I had nothing like it so I wanted to check it out! Its almost kind of ugly by itself, but over white it is a really pretty blue… and over black, all you can see is the pink! How awesome is that? I actually thought it looked really unique over black… it isn’t that dark if you do another coat, and it looks like a metallic vintage rose color! This entry was posted in experiments!, general polish yumminess, swatches and tagged blue, blue without u, china glaze, layering, light blue, metallic, nail polish, pink, purple, rose, shimmer, swatch on April 1, 2011 by hollyshimmerspark. This is a color I don’t have yet! Not even close! Pewter has a metallic silver look with an olive green tone to it. It isn’t that light actually, it can appear light in the shade, but in the light, the contrast really changes and it pops! I’m keeping this one for sure, it is the one metallic color I definitely had nothing close to. And it goes on really nicely in 2 coats, which is always ideal for me. This entry was posted in general polish yumminess, swatches and tagged green, me me me, metallic, nail polish, olive, pewter, shimmer, silver, swatch on March 31, 2011 by hollyshimmerspark.